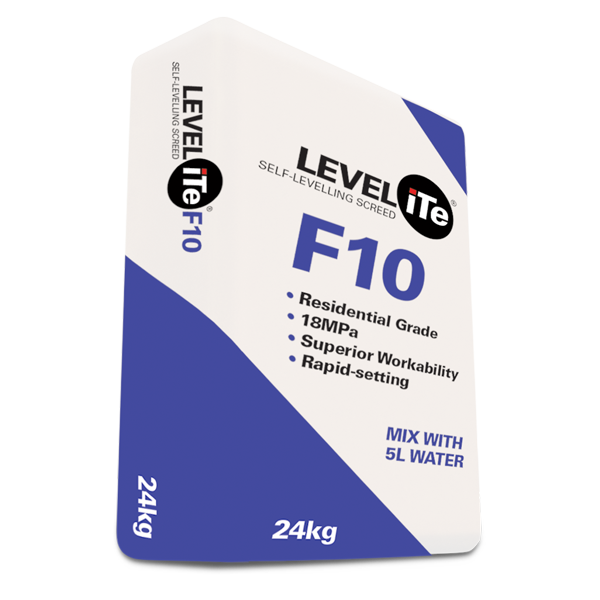 LEVELiTe F10 is a screed smoothing and levelling compound with excellent general purpose attributes for preparing screeds prior to the installation of vinyl and wood laminate flooring as well as carpets and other floor covering requiring a smooth, level finish. to lightly grind the surface to promote adhesion. and then discharge onto the affected floor. temperatures and reduced at higher temperatures. speed of drying is a factor. will give enough material to cover approximately 4.5m² at an average thickness of 3mm. the surface is rough or uneven. tested, either hardening more quickly or setting slower. persists. For further information, consult the relevant health and safety data sheet. and VOC confirmation notice is available on request or can be downloaded from our website— www.iteproducts.co.za. right to update this information at any time without prior notice. 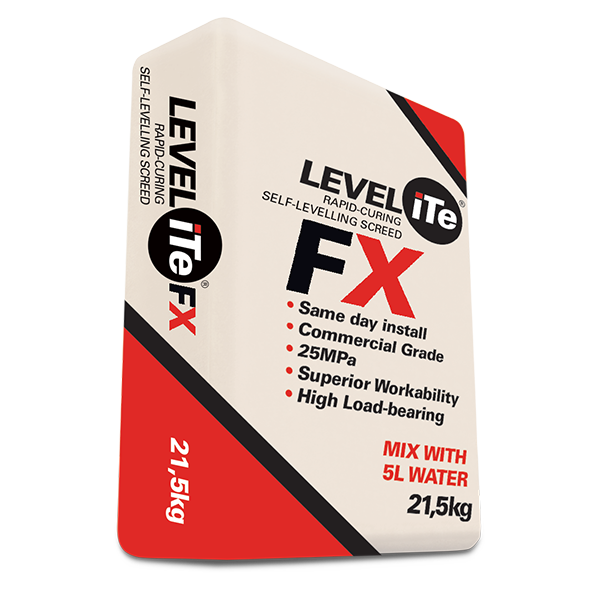 LEVELiTe®F10 is guaranteed to be free of any manufacturing defect. Pour the mixed LEVELiTe® F10 onto the prepared sub-floor. The mixed mortar will flow out and self-level. minimises cold joints and surface irregularities. 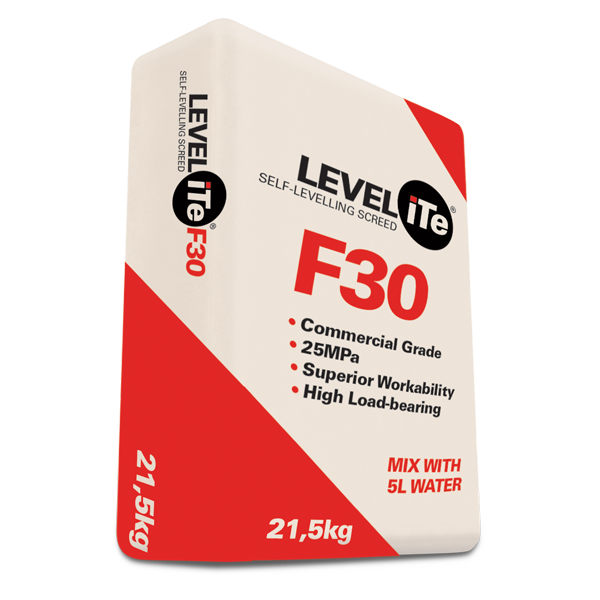 LEVELiTe® F10 can be applied in thicknesses from 0,3mm to 10mm in a single application. Usage rate is 1,7Kg per m²per 1mm thickness. 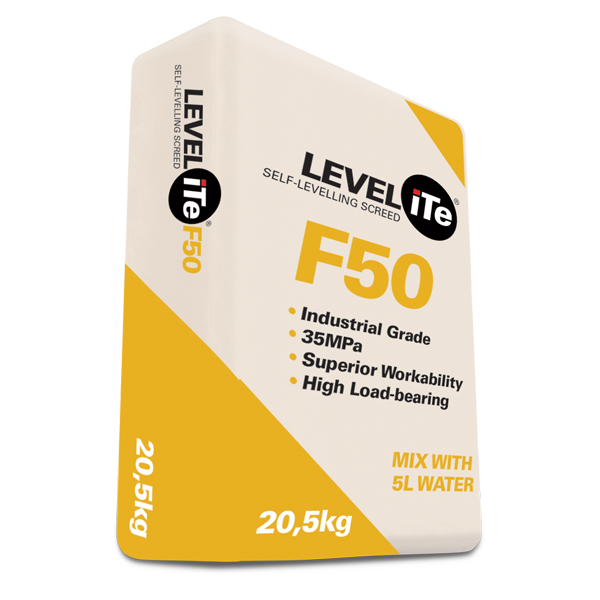 Once cured LEVELiTe® F10 is resistant to moisture and will not swell or soften when exposed to moisture.